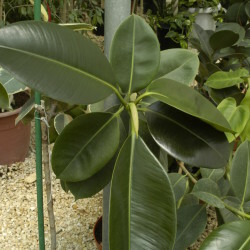 The Rusty Fig, native to Australia, is a broad, densely shading, evergreen tree that may reach 30 metres in height, spreading up to 15 metres when mature, making huge specimen trees. 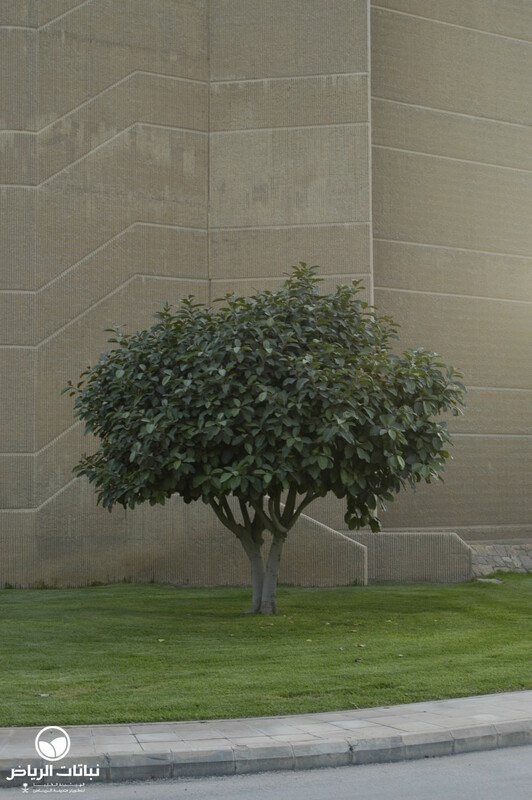 It also often makes an attractive multi-trunked tree. 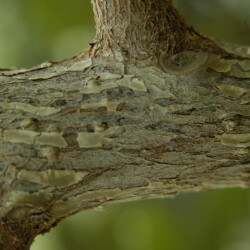 Rather slow-growing, a buttressed trunk is eventually formed, which can reach 1.5 metres in diameter: the bark has a yellow-brown colour. 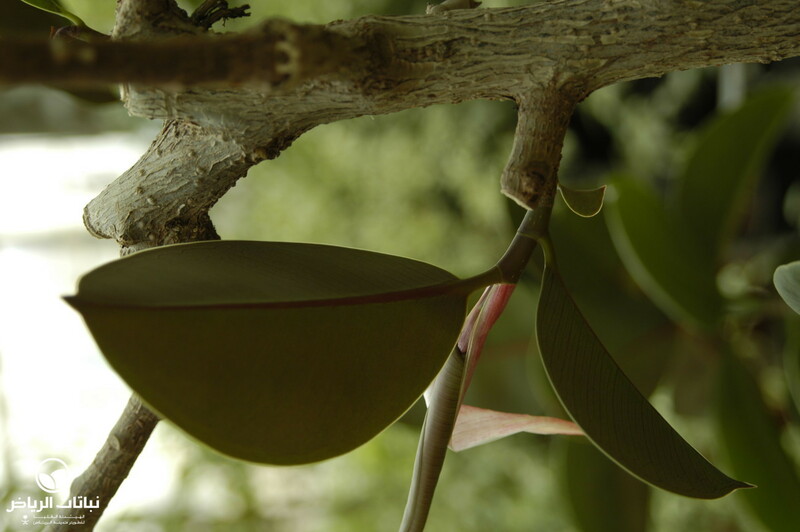 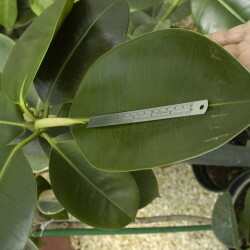 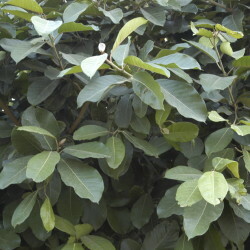 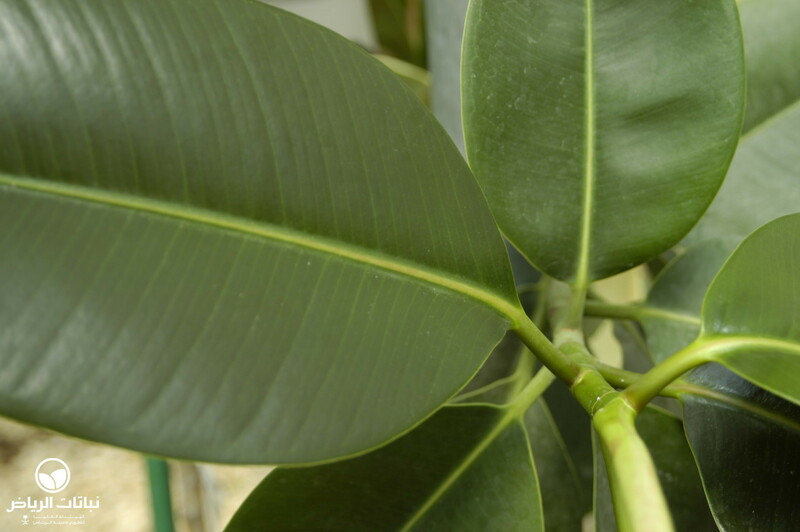 Its ovate to oval-shaped leaves are 6–10 cm long: the brown, short fuzz and rusty colour of the undersides of the leaves give the tree its name. 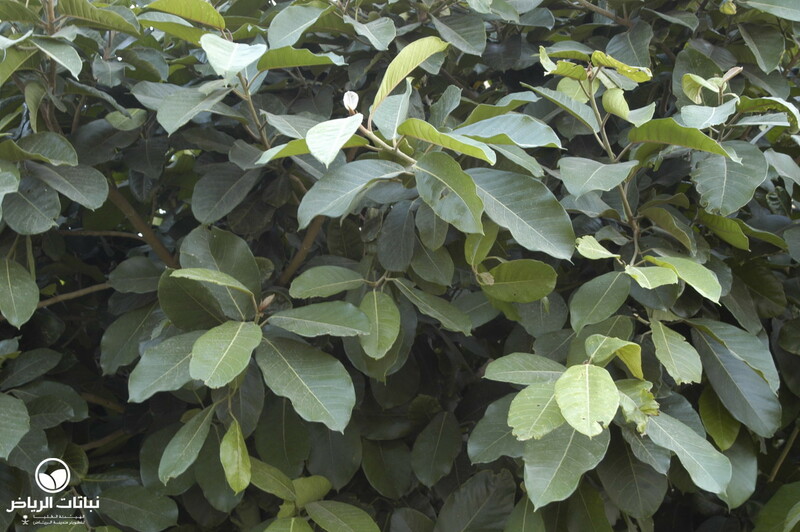 The inedible figs ripen from yellow to red. 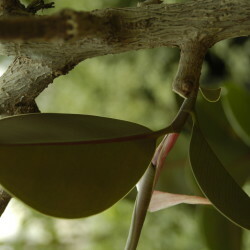 In humid climates, the lower branches of the tree form aerial roots. 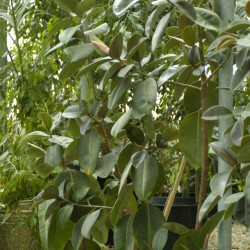 F. rubiginosa tolerates many types of soil, even where compacted and poorly draining, and will grow well under arid conditions. 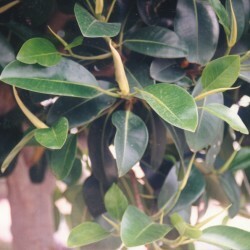 It prefers full sun, but also grows in partial shade; regular irrigation is required in summer, less in winter. 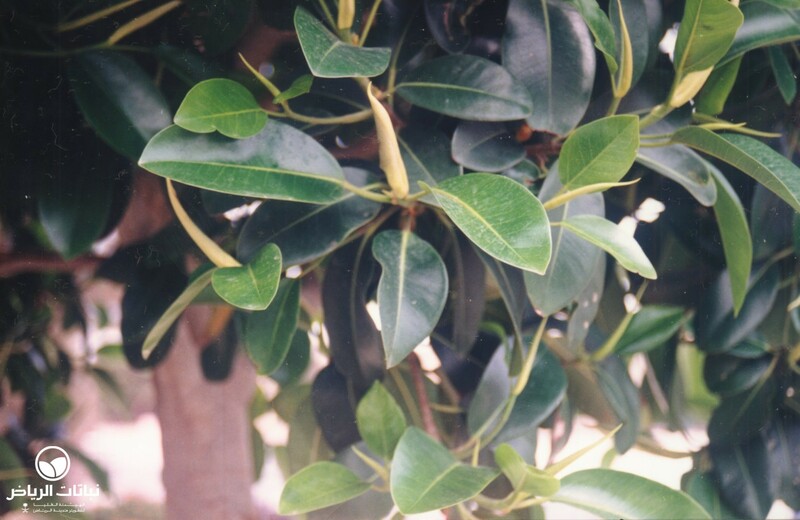 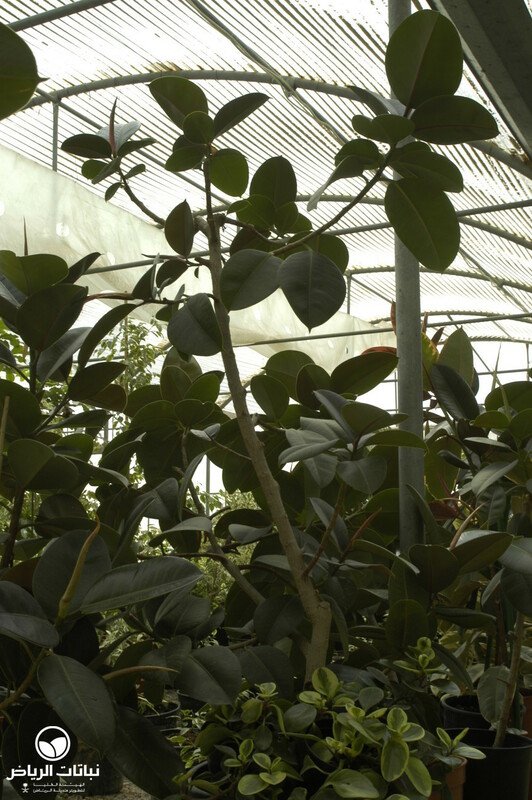 Once established, it can withstand short periods of drought and frosts, and withstands more cold in Arriyadh than other Ficus species. 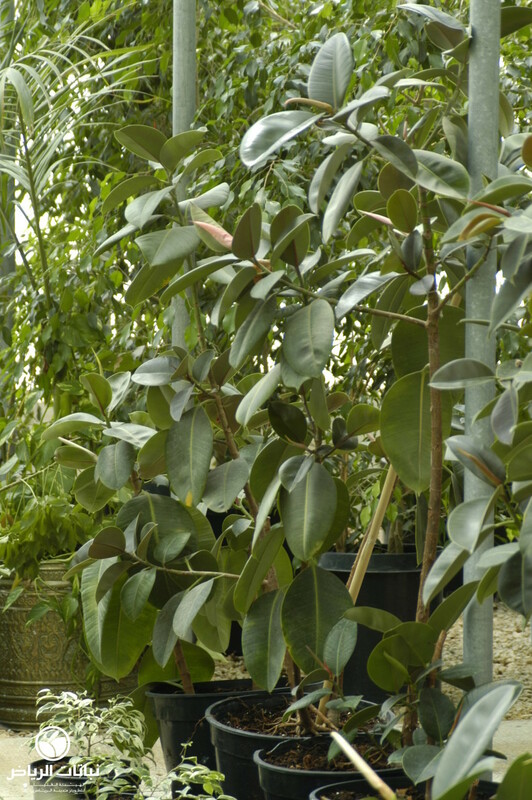 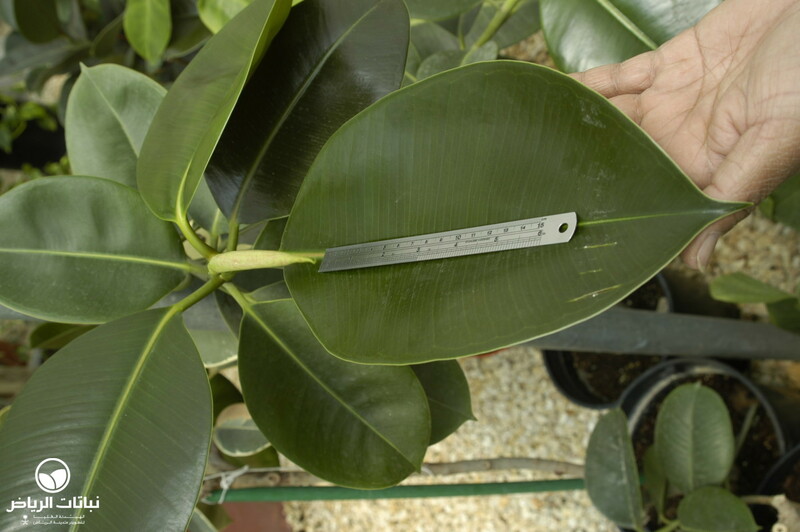 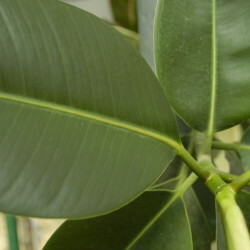 It is easily propagated by cuttings or aerial layering. 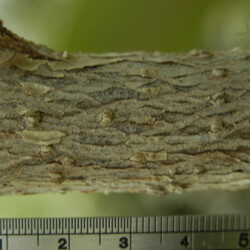 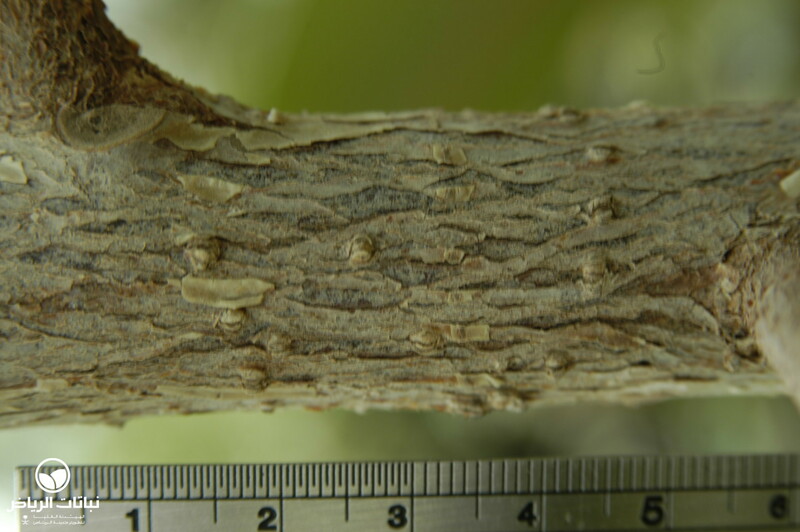 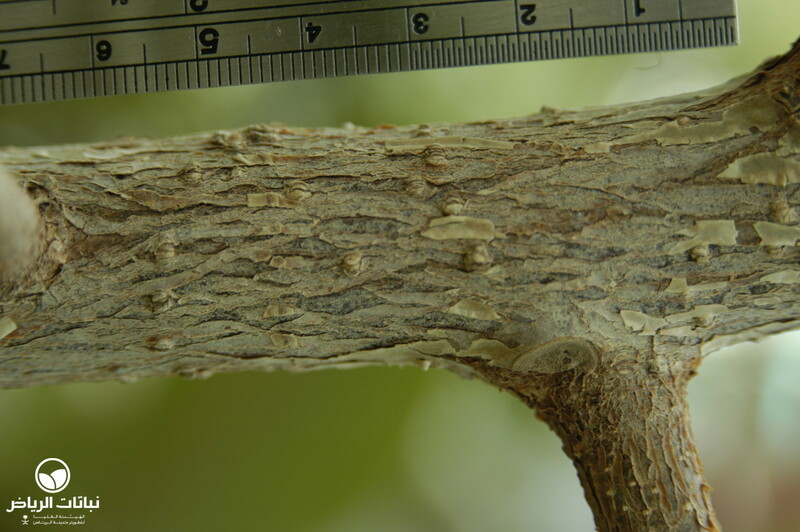 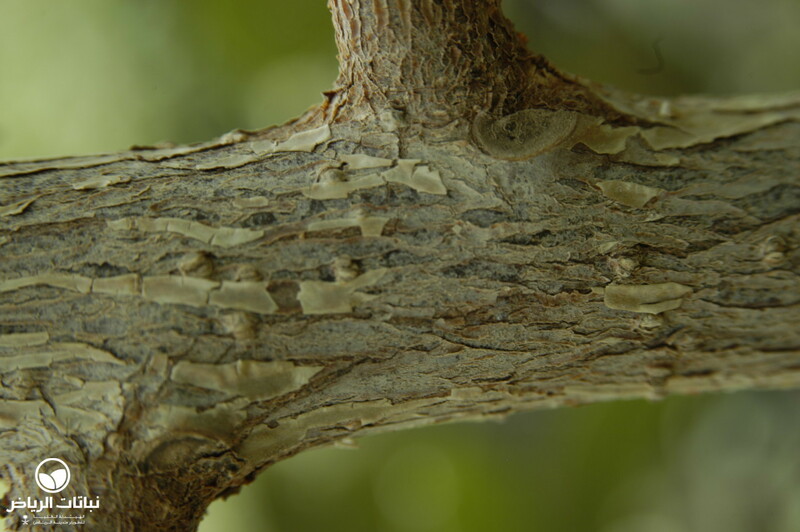 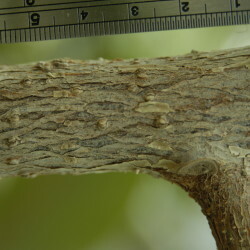 Scale insect may become a problem. 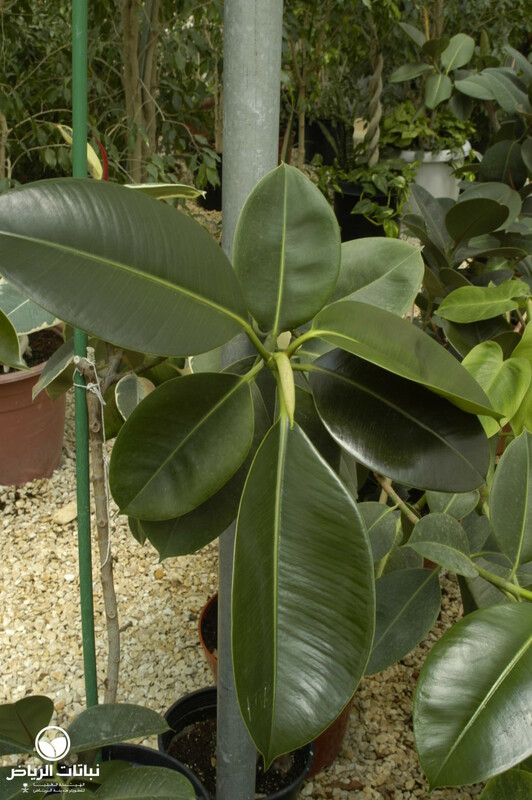 F. rubiginosa is an excellent ornamental tree; however, it can be planted only in very large private gardens, owing to its aggressive root system, which can damage underground pipes and foundations. 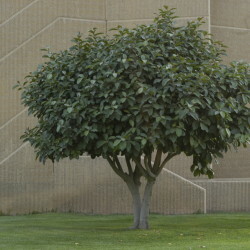 It makes a very good shade tree in parks and is tolerant of urban microclimates. 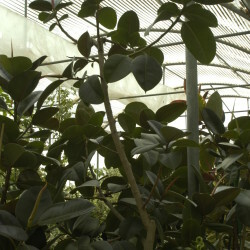 It is also a valuable plant for wildlife. 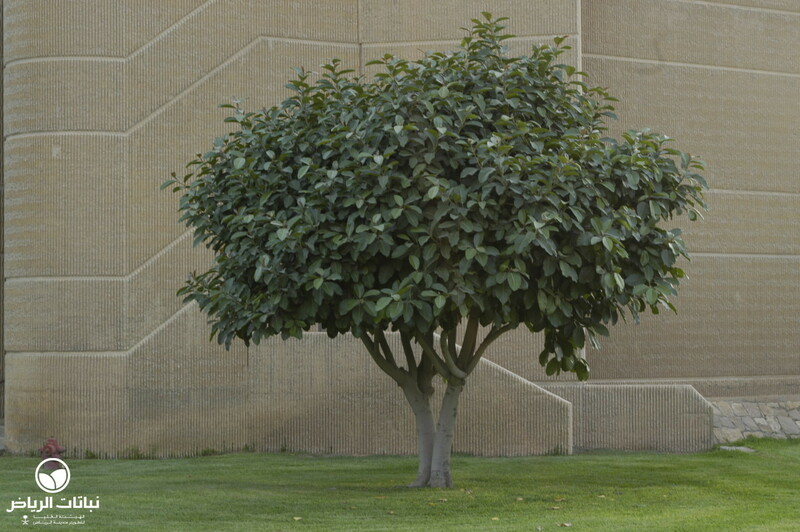 Trees should be carefully pruned from the outset to create a good structure: by removing some branches an open form can be achieved.